To:- Career Development Plan - Can I Become a Professional and Still Go to College? your messages, I can tell straight away you are very clear in what you want and have a strong determination in your personality. 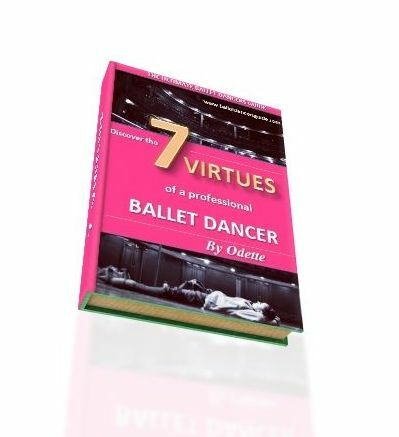 Your thinking is much like my own when I was a young dancer, as my priorities were always to keep my options open and achieve my academic qualifications as well as ballet training. You ask a clear-cut question, which makes it easier for me to give you the direct answers you want. You have the right idea, as yes you will have to join a vocational dance school like English National Ballet by the age of 16 in order to become a professional. It does not mean you will be stuck with no academic qualifications if you join a school like this. It means you have to choose the right school and do your research to make sure the one you join has the option to study academics as well. I know that Elmhurst School for Dance, Royal Ballet School and Tring all include at least one A Level for you to achieve by the end of your ballet training. When I reached the age of 16 and it was time for me to choose another vocational dance school, I made sure the one I chose includes the right academics. By doing this, I achieved 3 A levels which was the same as my friends who were non-dancers and studying at a normal college back at home. From what I know at the moment, English National Ballet does not include academics in their course so if you join the school, you would have to study in your own time to get the academics you want. The other schools I mentioned include the academics within the schedule of the training. You are very smart in your thinking and please do not loose this train of thought, because I think it is crucial for dancers to keep their options open as much as possible. Of course, you must devote yourself to ballet and give your 100% commitment, but don't be afraid to pursue your other interests too. I hope this helps, but please do keep in touch and get back to me with any other questions.